Not everyone loves the same foods, which is why there are so many different types of cooking and foods to eat. Some people love crab, others hate it. Some love spicy foods, others avoid it like the plague. I even know one man who refuses to eat any type of peach because of the fuzz on the skin. He reacts the same way to canned peaches without the skin as he does to fresh ones with the skin on, so it wasn’t the taste, but the thought of the fuzz. That happens a lot when it comes to chicken feet, also known as phoenix-claws. 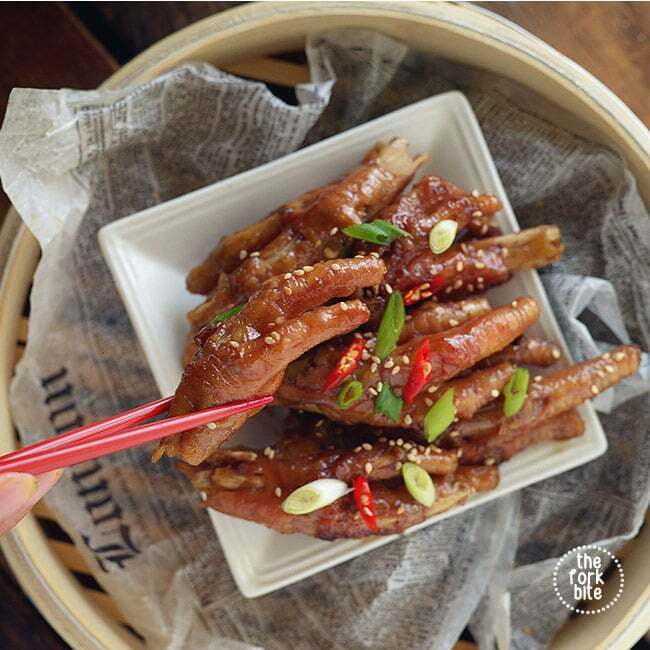 In the case of chicken feet, you have those who adore the taste and those who won’t even try them because of the way they look. I happen to find them delicious and eat them every time I eat at an Asian restaurant. If you’ve ever tried these delicacies and found you weren’t fond of them, try them in a different recipe. 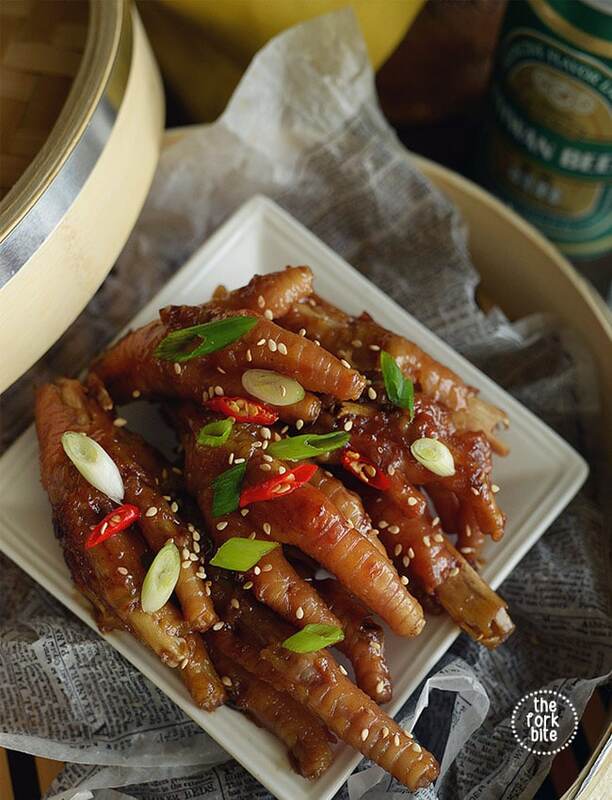 Just like chicken breasts, there are hundreds of ways to cook them, since chicken feet are popular in many cultures from Chinese and Korean to Jamaican and South American. 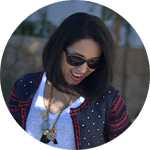 I do have a favorite recipe I use that is absolutely heavenly. The sauce makes it that way. No matter what way I cook them, however, I always first remove the talons before I make the dish. I use chicken feet a lot of different ways. Boiling these create a thick gelatinous stew you can use in gravies, but also a great elixir that’s great for the skin since it’s a good source of collagen and protein. The broth made from chicken feet also helps with weight loss, strengthens blood vessels and helps ease the effects of arthritis. 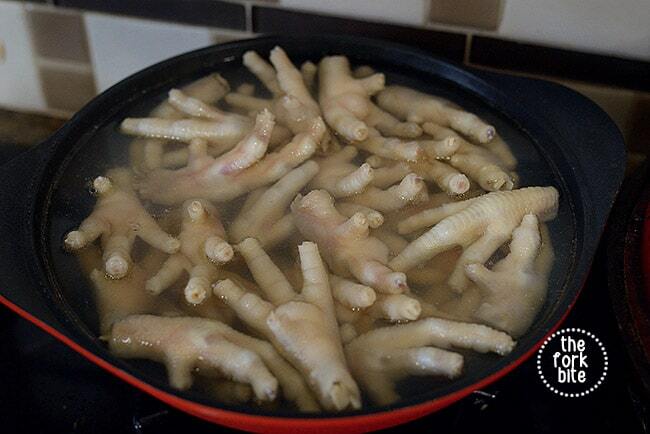 Even though the broth is good for you, it’s not my favorite way to eat chicken feet. 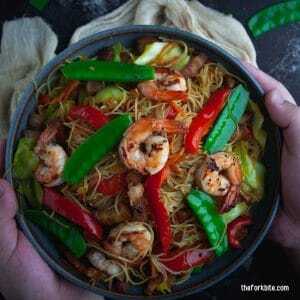 The recipe I often use has a sauce that is so heavenly, you’ll immediately take seconds and thirds, lest all the feet are gone before you’ve finished your first serving. Using Chinese yellow rock sugar will give you an authentic flavor, but you can substitute with regular granulated sugar. I’ve made it both ways. 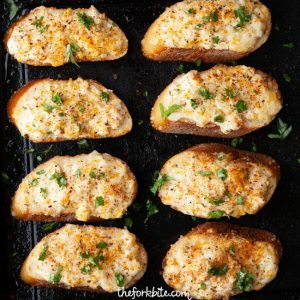 Once I realized how delectable this recipe was, I bought some and it does add to the flavor. 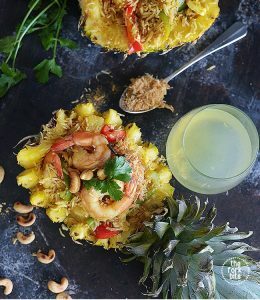 I recommend that you make a smaller batch at first or use it as one of the dishes for a party buffet, so everyone gets a chance to try these. 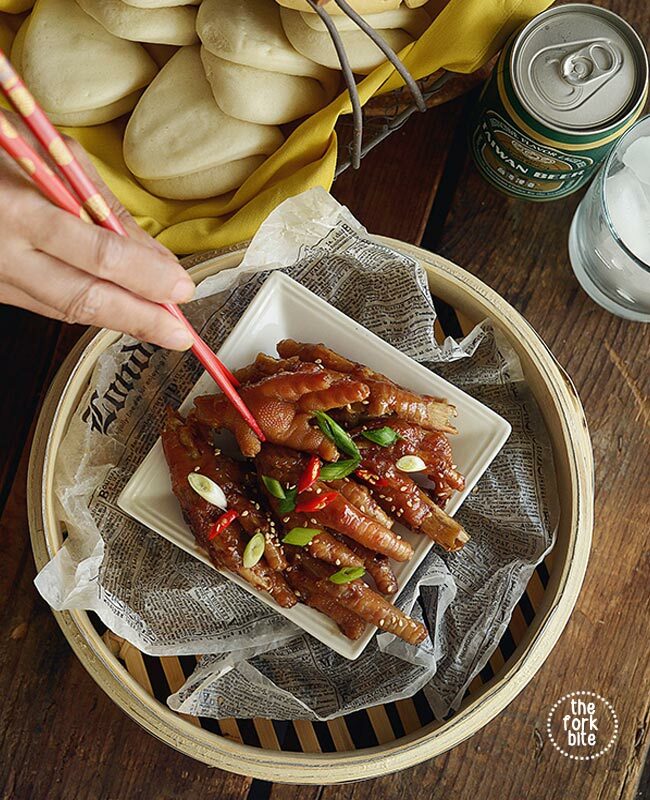 When it comes to chicken feet, you either love them or hate. 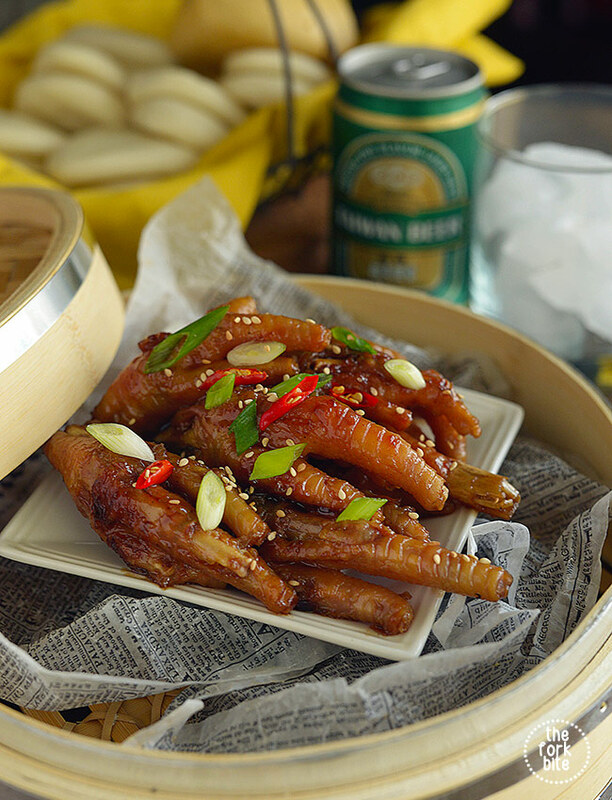 With this recipe, you’ll be giving chicken feet a head start to becoming a favorite. Start by locating and removing all tiny blemishes with a set of sharp kitchen shears. Next, trim down the nails. You want to completely remove the claws. The next step is exfoliation. Rub chicken's feet with kosher salt and let stand for 10 minutes, Quick rinse in cold water to get rid of salt and scum. 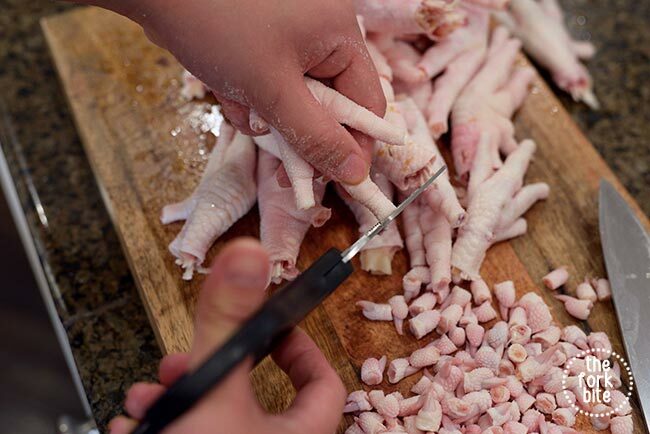 Place chicken's feet into a pot of rapidly boiling salted water, blanch for 5 minutes and drain well. Set aside (or you can place in the fridge for a day until you need to cook further). Place a saute pan over high heat. Add the chicken and dry-sear to lightly brown. Add the remaining ingredients (except the garnish) and bring to a simmer. Cook, covered, for about 10 minutes. Uncover, and simmer until pan is almost “dry,” tossing frequently to coat the feet as the sauce reduces. Serve hot and garnish with scallion shavings and toasted sesame seeds. 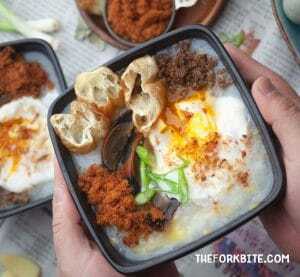 Calleigh, this recipe would be perfect for those cold nights. Looking forward to making this for my family. 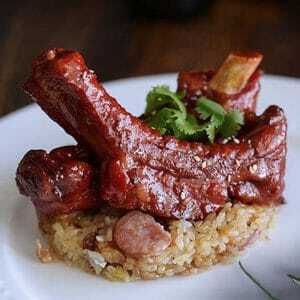 Calleigh, it looks perfect and tasty! Can’t wait to have this anytime of the day, love it!